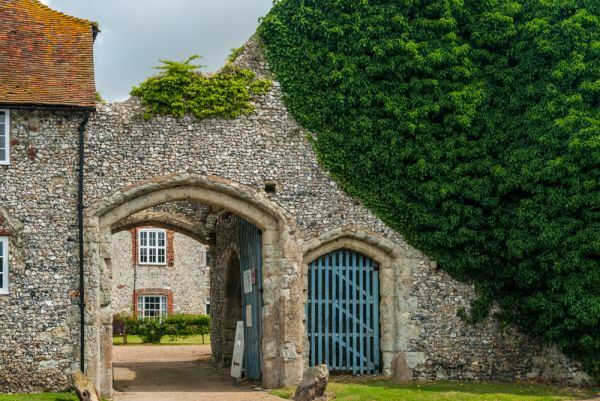 Charing Palace is the remains of an 11th-century bishops palace used by Archbishops of Canterbury as a stopping place between Canterbury and their London residence of Lambeth Palace. 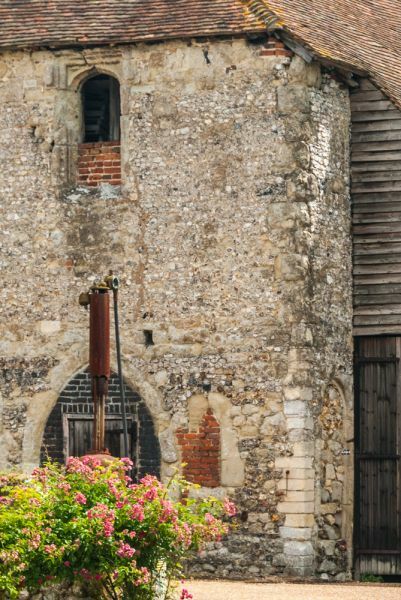 The village of Charing stood on the main pilgrim route to Canterbury, and it made sense for the Archbishop's to have an official presence there. 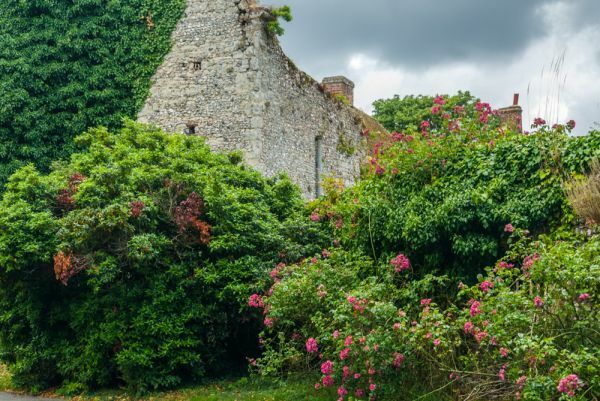 The name 'palace' is perhaps a misnomer; the bishop's residence was really a manor house, albeit a very grand one, as befitted the status of the Archbishops of Canterbury. The history of the palace goes back to the 8th century. In AD 788 Kenulph of Kent granted land at Charing to Christchurch Priory at Canterbury to build a residence. The residence evolved over the centuries into a complex of buildings based around a hall. It became a favoured residence of several archbishops. Many of the medieval buildings that made up the Palace still survive as private dwellings. 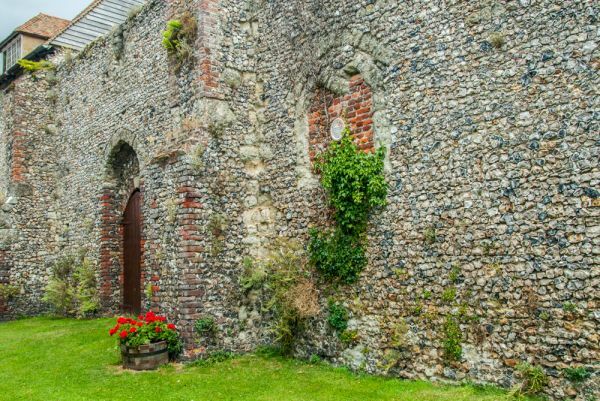 The boundary wall that enclosed the Archbishop's precinct still stands to a height of 2 metres high in places, and within it, the interior buildings remain relatively unaltered by the passage of time. Most of the Palace buildings date to the 14th century, including the Great Hall, gatehouse, farmhouse, part of the west range, and part of a private chapel. 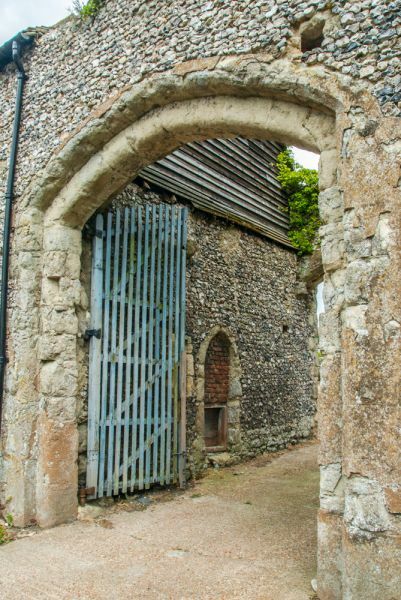 On the south side of the boundary wall is an imposing gatehouse built by Archbishop John Stratford (1333-1348). The gateway gives access to a courtyard, with buildings ranged around a quadrangle. On the east side of the courtyard is the 14th century Great Hall, later used as a barn. On the north side is the farmhouse, begun in the 13th century. At one corner stand the chapel remains. On the west side of the courtyard is a 14th-century outbuilding, and on the south side are Numbers 1 and 2, Palace Cottages, the former gatehouse and porter's lodge. It is thought that both Henry VII and Henry VIII stayed at the palace on numerous occasions. In 1520 the Palace hosted some of the 4000 men and women of Henry VIII's entourage as they journeyed to the king's famous meeting with Francis I of France at the Field of the Cloth of Gold near Calais. 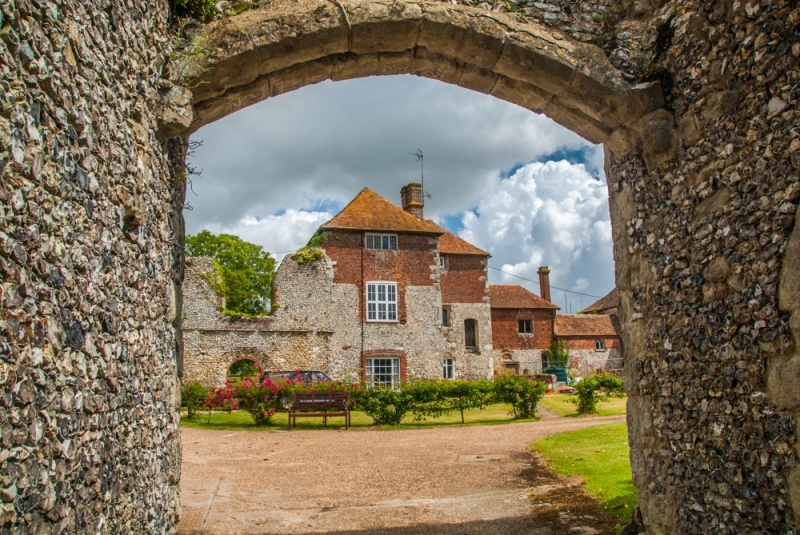 The Charing estate remained in the hands of Canterbury Priory until 1545 when Archbishop Cranmer exchanged it with Henry VIII. It seems that Henry VIII made no use of the palace after he acquired it. The crown rented out the manor house, which became a farmhouse. In 1559 Archbishop Parker tried to reassert church control over the palace and become both tenant and farmer of the Charing estate but the palace was instead sold to Sir Richard Sackville. It has been in private hands ever since. By tradition whenever an Archbishop of Canterbury visits Charing he enrobes at the Palace (by permission of the current owner) before walking to the neighbouring parish church. 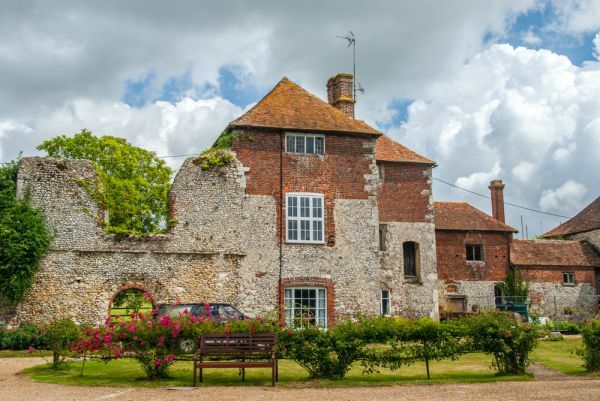 Part of Charing Palace was used for many years as a farm building, but attempts have been made recently to obtain funding for restoration. The various buildings are in private hands as this is written, and not generally open to the public, but you can easily view the precinct wall and poke your nose inside the gatehouse to see the historic complex of buildings arranged around the courtyard. It is an incredibly impressive site, with a marvellous sense of history. 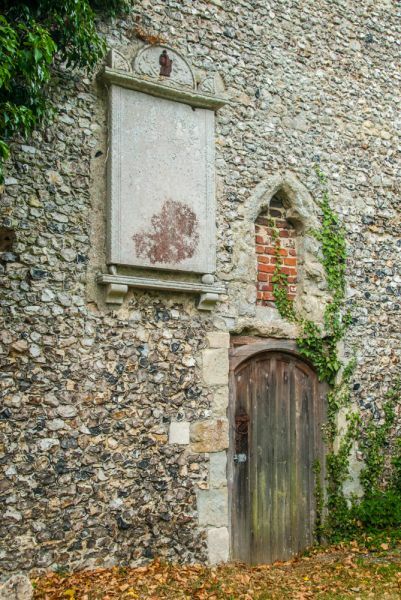 Location: The Bishop's Palace is located just off Charing High Street, beside the church. Note that as of this writing the Palace is privately owned and not generally open to visitors. We've 'tagged' this attraction information to help you find related historic attractions and learn more about major time periods mentioned.